Kilimanjaro is Africa’s highest mountain, standing at 5,895 metres, 19,341 feet above sea level. It is comprised of three distinct peaks (Shira, Kibo and Mawenzi) of which Uhuru Peak is the highest point on the crater rim of Kibo. Kilimanjaro is a huge stratovolcano. Kibo is dormant while the other two cones are extinct. Climbing any high altitude mountain is a serious undertaking and care should be taken in preparing your mind and body for the adventure. Figures vary but it is widely accepted that around 20,000 climbers attempt the ascent every year. Hundreds don’t succeed. Worse still, ten hikers a year will die trying. Due to its relative ease of access without the need for technical climbing abilities, the mountain is a magnet for unprepared hikers. The high altitude, freezing temperatures, and challenging routes over difficult terrain, make this a serious trek. 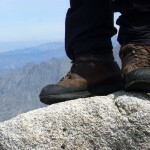 Hikers should ensure they are in the best possible health and fitness before embarking on the trip. The appropriate equipment is a must to deal with the extreme climates (humid jungle at the base, and rock/ice at the summit). 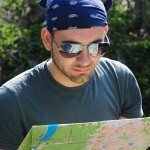 It is strongly recommended to engage the services of a professional trekking company with a good reputation. There are hundreds to choose from, but one can judge appropriateness based on ratings from previous customers, ecotourism awards, experience at altitude, work in the local communities, and planned safety measures. Further still, look for companies who provide treks designed to combat the effects of altitude sickness. 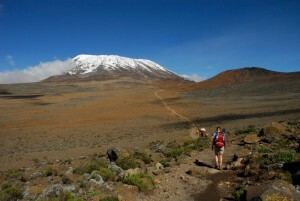 Many insist on preparation climbs to the lower altitudes of nearby Mount Meru or Mount Kenya. 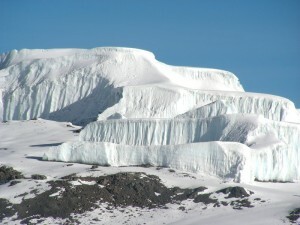 In recent years, trekking organisations have extended the length of ascents on Kilimanjaro from the 5-7 days, up to 10-14 days depending on selected routes. These extra days allow for varied patterns of ascent and descent to build acclimatisation in the body. Regardless of preparation, nearly every climber will feel some effects of altitude sickness. Most report constant headaches, nausea, breathlessness, fatigue, dizzy spells, constipation or diarrhoea. All the dire warnings aside, the trail itself can be breathtaking. Routes such as Machame have stunning scenery, incredible wildlife, and offer a challenging, yet achievable trek up one of Africa’s most magnificent mountains. Few sights can grab the visitor with such force as that of the glacier-topped peak across the African Savannah, while giraffe, lion and zebra roam freely across its national parks. 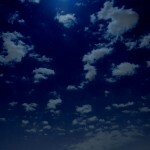 Edited By: The CampTrip Team. No responses to "How to Climb Kilimanjaro"